You are here: Home / News / We Are More Than Our Ancestry. We Are More Than Our Ancestry. (ThyBlackMan.com) In forming our personal, as opposed to group, identity we each are a mix of ancestry, upbringing and choice. And while these pieces may not be in equal measure, they all play important parts in determining who we are. To celebrate African ancestry, Ghanaian President Nana Akufo-Addo proclaimed 2019 “The Year of Return” marking 400 years since the first enslaved Africans arrived in North America. President Akufo-Addo said he commissioned The Year of Return to celebrate “the resilience of Africans forced into slavery and encourage their descendants to ‘come home’.” My eldest daughter was among the many revelers (returnees) in Accra, Ghana to ring in the New Year and kick-off the celebration. The Chinese government has initiated its own ‘homecoming’ program of sorts. Beginning this month, China is loosening its visa requirements to allow “foreigners of Chinese origin” easier access to enter the country. They define a foreigner of Chinese origin as “a former Chinese citizen who has obtained foreign citizenship or the offspring of a present or former Chinese citizen.” To qualify it means that one parent, grandparent or ancestor was Chinese. They place no limit on the number of generations back the ancestor was in the family tree. Contrast those positions with the stance the Cherokee Nation took in the Elizabeth Warren ancestry fiasco. Seeking to dispel the put-downs on her claims of Native American ancestry, Senator Warren had a DNA test performed. Test results showed that she possibly had a Native American ancestor somewhere between six and ten generations ago, which she said proved her claim. The leaders of the Cherokee Nation, however, said that “tribal identity transcends mere biology.” They were more concerned with heritage or upbringing to determine who was eligible for tribal membership. To them, it was more important to have been raised in their traditions than to claim membership via the “one drop” rule. Guess that only works on black folks. Warren apologized. Then, of course there is “choice”, or what Dr. King described as “content of character.” He said that he wanted his children to be judged by the choices they make in life: to be honest or dishonest, truthful or liars, learned or ignorant. This was how he proposed that all people be judged rather than just by the color of their skin. I’ve seen good people come from bad families and bad people come from good ones, so there has to be more than lineage and upbringing to the equation. Identity should be based on the totality of personhood. 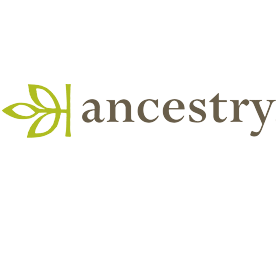 To magnify the importance of one factor over the others, or to rely solely on ancestry and discount the other two altogether, is using shorthand to determine who a person is. This is playing out right now with Senator Kamala Harris in the early stages of her presidential campaign. With a father from Jamaica and a mother from India some people have said she can’t “claim” being African American. Being born in Oakland certainly makes her an American and we know that slave ships departing Africa stopped in Jamaica before reaching the United States. Of her upbringing she says, “My mother understood very well she was raising two black daughters.” In her autobiography, The Truths We Hold, Harris further says, “She knew that her adopted homeland would see me and Maya (her sister) as black girls, and she was determined to make sure we would grow into confident, proud black women.” She attended an HBCU and pledged AKA. To me, Harris can claim African American if she wishes. Or, she can be like Tiger Woods – who calls himself a Cabalasian – and invent her own ethnicity. Would that make a difference? I choose to honor my family, and by extension my ancestors, by claiming my African identity. I would hope, however, I would be judged, as a person, by how I have chosen to live my life. And while I choose to participate in activities that serve to reinforce my group identity, like Kwanzaa, I refuse to be judged by collective guilt. I’m not responsible for what every black person does or says just as you never see white people feel the need to apologize or atone for the aberrant behavior of some random white person. It’s plain silly to spend time arguing over who is black (enough) or where someone’s ancestors came from as determinative of who they are. Personal identity is a complex composite of a number of factors and, as far as I’m concerned, the whole must be equal to the sum of its parts. The leaders of African nations from which chattel slaves were extracted years ago should do more on the international level to proclaim and demonstrate their concerns for the treatment of African Americans globally. These African nations should also field missions in America that will benefit the continued scholastic and intellectual growth of African Americans.